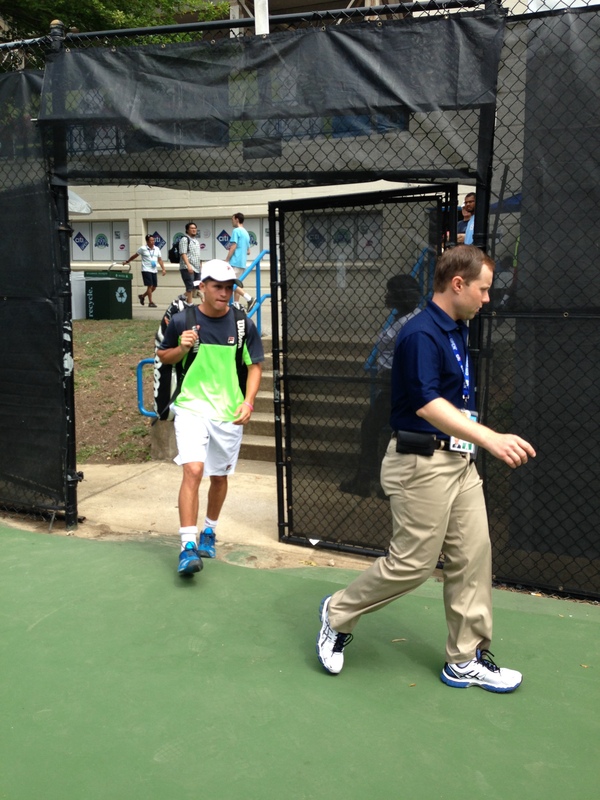 Denis Kudla says it’s great to be back in Charlottesville. Played well is an understatement for Kudla. The Arlington, Virginia native won the Petit A’s tournament here when he was 9 years old, and won the grown-up version of the tournament, the Charlottesville Men’s Pro Challenger, when he was 20. 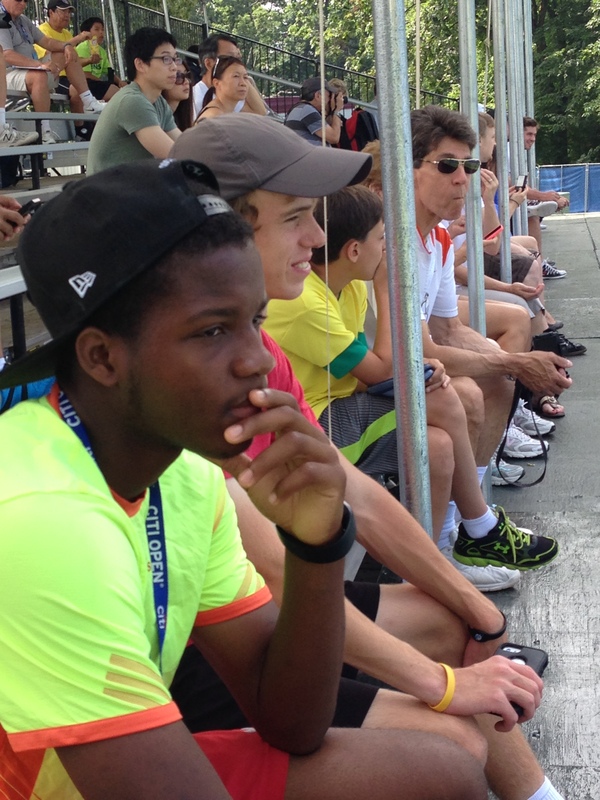 He was practicing with fellow Junior Tennis Champions Center alum Frances Tiafoe before our interview. Kudla was a JTCC prodigy while Tiafoe was a kid growing up in and around the facility. This year, Tiafoe is the tournament’s top seed. I wondered if Tiafoe saw him as a big brother. Cubs or Indians in the World Series? Sounds like my assessment of some of the guys on the tour. Kudla opens the tournament against Tommy Paul tomorrow afternoon on courts he’s known since a babe. 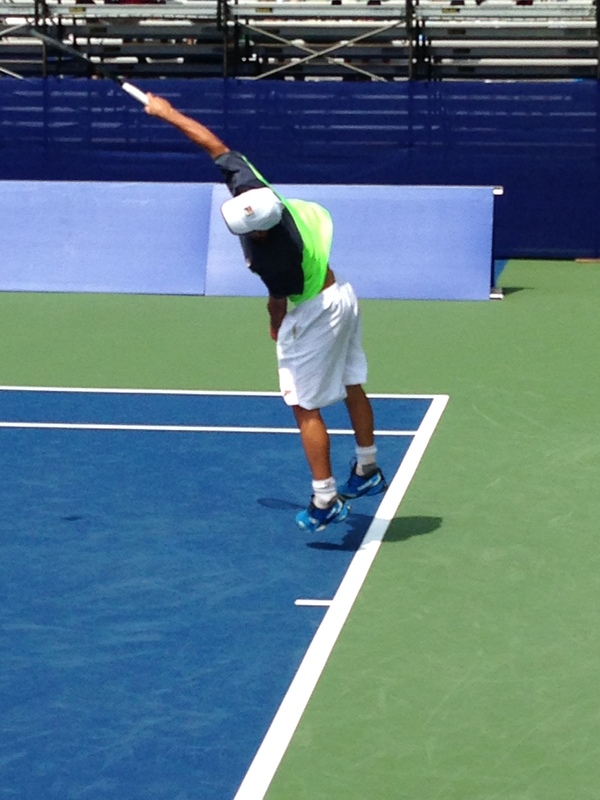 Posted in: ATP, Citi Open, Junior Tennis Champions Center, Washington. 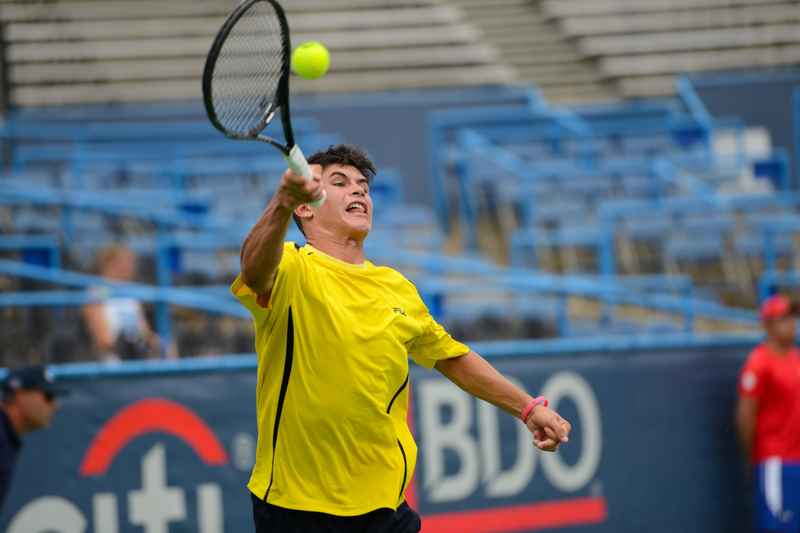 Tagged: 2014, argentina, atp, Citi Open, dc, Frank Salazar, Jordi Arconada, junior tennis champions center, mens, Photos, Pics, tennis, washington, wild card. All in all, Jordi Arconada had a great weekend. Awarded a wild card to his first ATP tour-level event on Thursday, he proceeded to notch his first tour win over Michael Llodra on Saturday on an outer court. Today, he played a full three-set match on Stadium Court, before losing to Alex Kuznetsov 3-6, 6-1, 6-0 in 1:17. 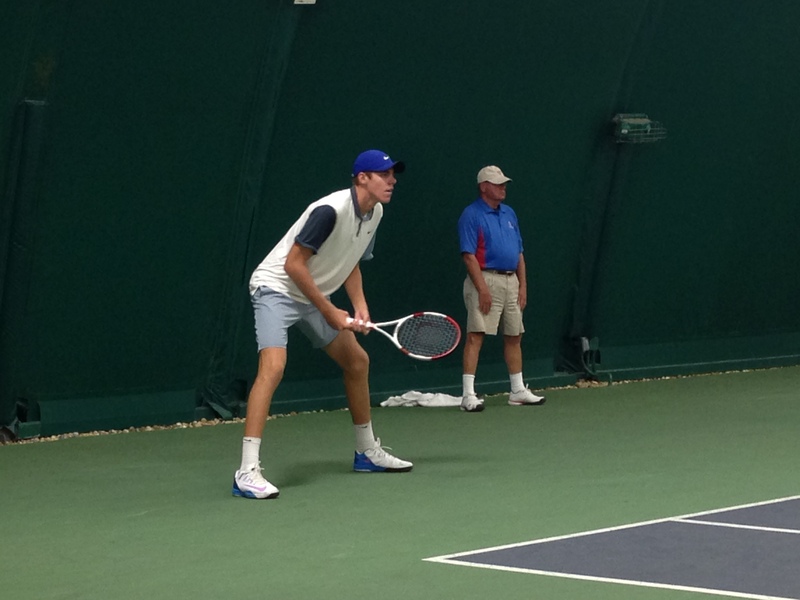 Local fans, friends and Junior Tennis Champions Center classmates and alumni were enthralled with the excitement and the experience his punchy performance provided them this weekend. Jordi Arconada’s a name to remember. 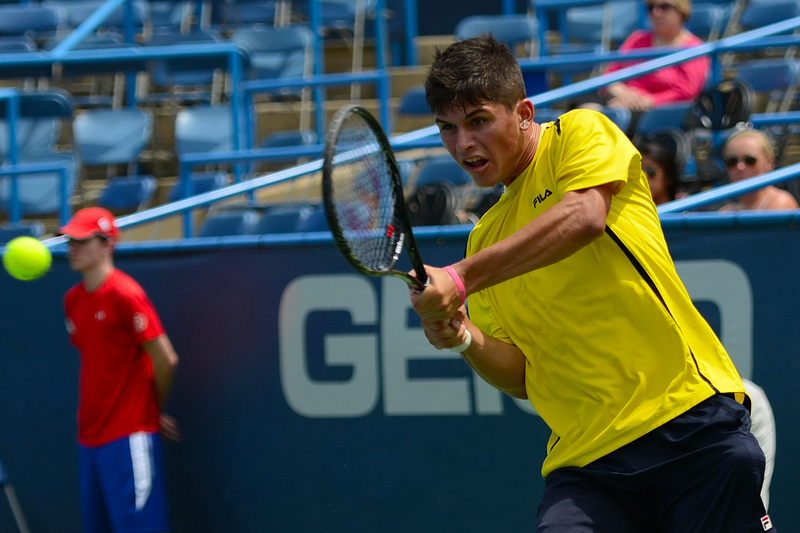 Tennis fans look forward to seeing him play at many Citi Opens Yet to Come. N.B. 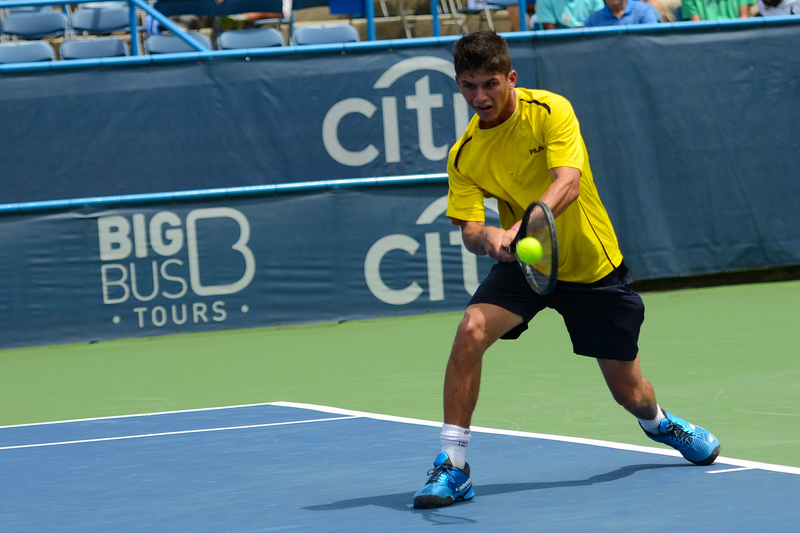 — Chris Levy (@Tennis_Shots) has been on loan to us for the Citi Open. It was a blessing to have him on hand to capture Arconada in action today. Yesterday’s match was over so quickly, the talented photographer never stood a chance to take up his position. Posted in: ATP, Citi Open, Junior Tennis Champions Center, Washington. 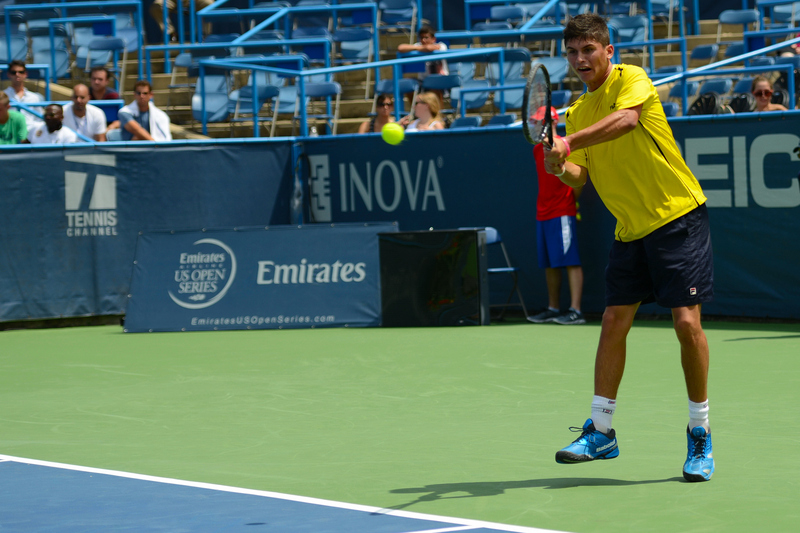 Tagged: 2014, atp, Citi Open, college park, dc, itf, Jordi Arconada, junior champions tennis center, Maryland, washington. 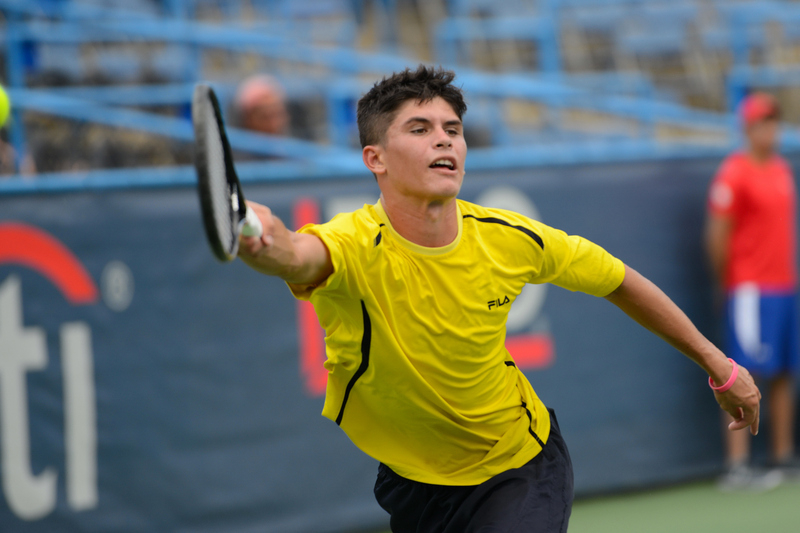 As I reported early this morning, Jordi Arconada had the Junior Tennis Champions Center spotlight all to himself today at the Citi Open in Washington, DC. I was thrilled when he won his first game and then proceeded to grab his first break of serve against tour veteran Michael Llodra. I thought the match would go on for quite some time. This was not going to be a typical blow-out qualifying win by an experienced player over a crafty young upstart. I saw on my phone that Kozlov and Groth were headed for a second set tiebreak and decided to duck over to Stadium Court for a few. I’m now wishing I hadn’t. A game later, Llodra called for the trainer and called it quits. Arconada got the win in retirement by a score of 3-2. A win is definitely a win, especially when you’ve made a total of $104 on the ATP tour and your opponent has banked $8.45 million. He’s one match away from joining his very good friend, Francis Tiafoe, in the main draw. Kuznetsov will be wondering why no one is cheering him on. Nothing personal, Alex. But this is Big Jordi Country now. Posted in: ATP, Citi Open, Junior Tennis Champions Center, Washington. Tagged: 2014, atp, Center, champions, Citi Open, dc, francis tiafoe, Jordi Arconada, junior, qualifying, tennis, Usue Arconada, washington. The Washington Nationals sit in first place atop the National League East. 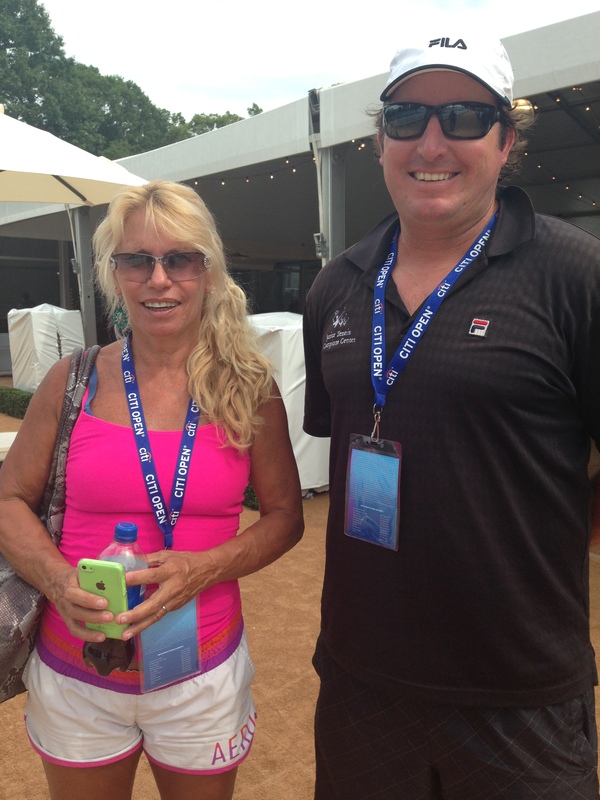 The Washington Kastles go for their fourth consecutive title tomorrow night. Things are so good, DC Sports Fans might forget another show of athletic competition is going on around them this weekend. The Citi Open features 30 qualifying matches today and tomorrow, and admission won’t even set you back $20. 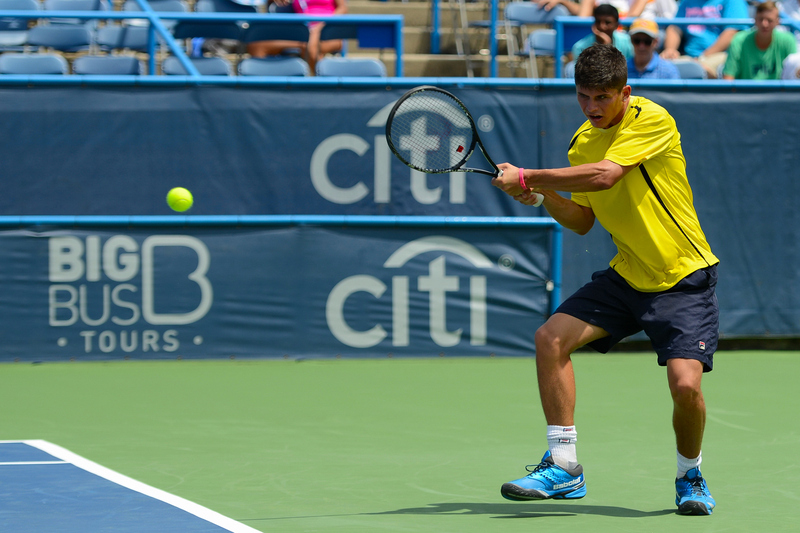 Strangely, Jordi Arconada becomes the biggest local name this weekend at Citi Open. 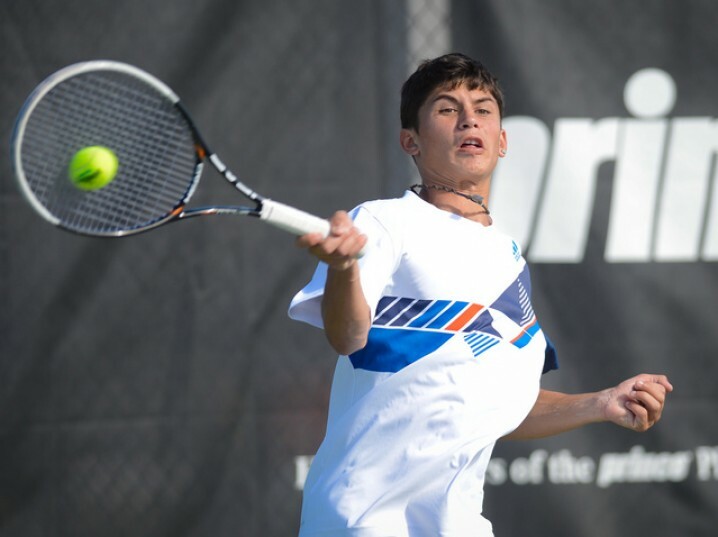 Arconada came up short against his good friend and classmate, Francis Tiafoe, at the Junior Tennis Champions Center in College Park, Maryland last month as part of the Citi Open Wild Card Challenge Final. 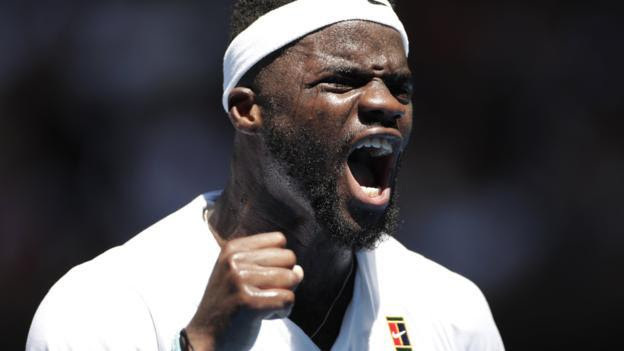 Today was supposed to be the day the much-heralded Tiafoe made his ATP debut as a qualifier. That’s what DC fans thought he’d earned by winning the Wild Card Challenge, until the BB&T Atlanta Open threw him a qualifying wild card (and threw a curveball to Citi Open/JTCC fans) last week. He promptly won his first match there, depriving DC fans of being able to say they were there to see it happen. DC had to do one better, and I’m glad they did. They granted Tiafoe a main draw slot, setting up his historic first on Monday. The qualifying wild card Tiafoe had earned in defeating Arconada went to Arconada, as it should. 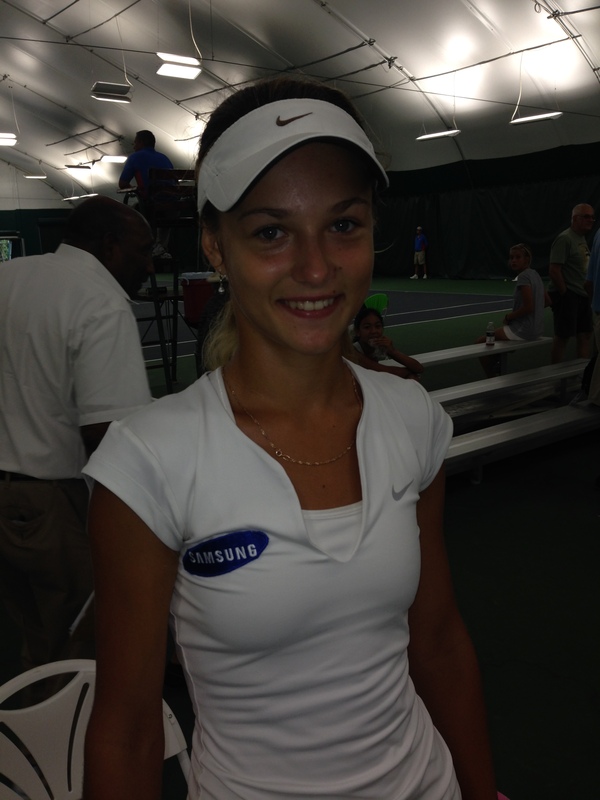 Another JTCC prodigy and Jordi’s sister, Usue Arconada, won her first WTA match here last year at Citi Open and was expected to play today. But she’s gone to tear it up in Austin. That leaves Jordi Arconada as the Big Deal today. Often overshadowed by his sister, Usue, and BFF Francis, it is Jordi who will be lavished with support by area fans this weekend. Sure, there’s the boisterous and sizable contingent of Virginia Cava-Cheerleaders who will bring the love for UVA’s Justin and Ryan Shane at their first ATP tour-level event appearance, but most eyes will be on Arconada. For one, he’s 17. Every fan wants to say he saw a future star way back when. He’s also playing Michael Llodra, a 34-year-old Frenchman with 5 ATP titles, and get this….a 10-year old daughter. Everyone loves the battle of the vet versus the kid. This is that battle. And for once, a brother of a rising tennis star and best friend of another, he doesn’t have to share the spotlight.